I’ve given some lovings to the Sydney treat Jagwar Ma before, but now they’ve decided to return the favour with the brand new video for the already released “Man I Need”. The original ten-minute track is now condensed into a shorter made-for-video-version bursting with animated images that could easily have walked right off the walls of an abstract expressionist painting (could imagine putting on my trusty 3D glasses for this too). The energetic creativity of the video becomes a perfect partner for the sound of Jagwar Ma. “Howlin”, their debut LP, lands on the 10th June – Pre-order it here. 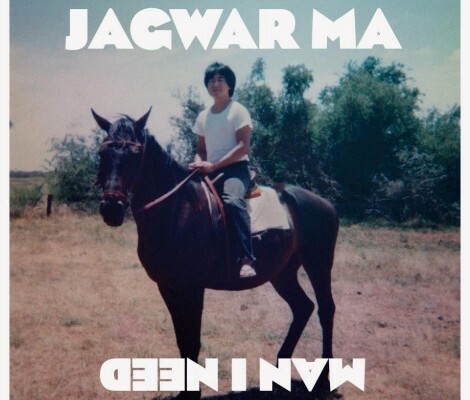 As if three hit singles would be enough for Jagwar Ma to carry them through toward their album release in June. Na-ah! Throwing out yet another lengthy track of 9minutes and 29 seconds; “Man I Need” explores a myriad of influential sounds by exposing carefully experimental arrangements. It’s meaty at best, reminding me of the way Chemical Brothers command their sound by offering the listener an experiential journey through an initial beat. They’re surely going against the current flock of releases by offering up a generous platter of flavoursome individuality. Think late 90’s breakbeat Brit Rock. Bon Appa!